I often get asked by readers how they can earn money with Facebook, Twitter, Pinterest, etc. It seems like a really appealing way to earn since, let’s face it, most of us are on and off of these sites multiple times per day! Why not get paid to do what you’re already spending time doing? Before I jump into all the different sites you can use, keep in mind that this is probably extra money only. I don’t think there are too many people making a living by playing on Facebook or Twitter. I’m not saying nobody is, but most people likely are not. Most of what I’m going to list involves sharing sponsored links, although you’ll find a few other oddball things in there, too. But sharing sponsored links is where it’s at because big brands want to get themselves out there to as many people as possible, and they know people are on social media all.day.long. So yes, they are willing to pay you to help them get their brand/product/message across. And I’m sorry, but I have to say it — don’t spam your friends! It may be tempting to do because the more sponsored stuff you share, the more you can earn. But spamming your friends will backfire on you because they’ll get wise to what you’re doing, become annoyed, and either block or unfriend you. So do everything in moderation and try to share things you think your friends would be genuinely interested in reading. You can use My Likes to share links on Facebook, Twitter, Tumblr, YouTube, and pretty much any other social media account you use. It appears that the links are shortened with bit.ly, so they can be posted almost anywhere. You are paid per click of each link. Payout is every Friday via Paypal, and you must have earned at least $2 to get paid each week. After you create an account and log in to Share Magnet, you’ll see several different “magnets” that you can share with your friends on almost any social media network. You are paid a certain amount per click of each magnet/link you share. Every magnet has a budget and you won’t see the money from your clicks deposited into your account until the budget is gone and the campaign for each magnet ends. Once it ends, the money will deposit into your share bank, and you can cash out your funds to Paypal provided you have at least one dollar. Yes, ChaCha has a link-sharing program in addition to their text-based question/answer thing. The link-sharing is just like My Likes or Share Magnet. You just pick out what link you want to share and get paid per click. However, I don’t think you can share these links to Facebook. The site says they work on Twitter, or you can use their custom html code for each link and post it into your website/blog, Google Plus, or Tumblr. Payments are made monthly to Paypal as long as you have earned a minimum of $25. You can sign up here. Sponsored Tweets is a site I’ve been using for a very long time. You get paid to post sponsored content to Twitter, and currently that is the only site this one works with, hence the name “Sponsored Tweets.” You can claim open opportunities that pay a certain amount per click, or you can get paid a flat rate for every tweet you send. Sponsored Tweets will suggest a rate for you to charge based on your number of followers and overall engagement percentage, but you are free to raise/lower this as you see fit. You can cash out your earnings at any time to Paypal and get paid instantly, but they do take a $2 fee from your earnings if you don’t have at least $50 in your account, so it’s best to wait until you’ve accumulated some money. Just a warning that, unlike the sites listed above, I have no experience with SociBuzz. This site lets you share various campaigns for advertisers on Facebook, Twitter, Google+, Linkedin, YouTube.com, Blogger, Tumblr, MySpace, and others. Payments are made on Mondays with Paypal and you only need $1 to cash out. The FAQ says that payments are made in 7 day rears, so it’s sort of like your money is held for a few weeks before you start getting regular payments. Viraliti is a “paid to pin” site. You can create an account and look for things you can pin to your various boards on Pinterest. If anyone clicks through to the advertiser’s website from any of your pins, you’ll earn a certain amount per click. I have been signed up with Viraliti for several months now but haven’t used it enough to get a payment. Currently they pay with Paypal and you need $30 to get paid. Payments are processed in the 1st and 16th of every month. Pinbooster is another “paid to pin” site. I’ve only ever earned $2 from there, but pinners who are more active may be doing a little better. This one reminds me a lot of Sponsored Tweets because you get to set your own flat rate for pins and you’ll be contacted if any of the advertisers want you to pin something for them. Pinbooster pays with Stripe.com rather than Paypal and you need $100 to cash out. That’s high for me, but there may be people who can reach it quickly if they are active and more attractive to advertisers. You can earn money on redKonnect by sharing sponsored links/advertisements on Facebook or Twitter. The site says that Pinterest and other sites will be supported soon, but they aren’t yet. You get paid in points on redKonnect that you can redeem to Paypal cash. Currently 1,000 points is equal to $1. You are allowed to request a cash out once per week. Staree is a little different. It pays you to share photos and videos on your social media networks. Staree will place display advertising on your photos and videos, so this makes clicks of your pics worth money. The supported platforms right now are Facebook and Twitter. There are also occasional product placements opps — where Staree will ask you to take a picture of yourself with a specific product and post it. This one is also a little different. With iBee, you can get paid for sharing links to different iPhone apps on your social media networks. If any of your friends click through from your links and download the apps you shared, you earn money. The pay will depend on what the app promoter is paying iBee, but your share is 70 percent of that. Payments are made once a month to Paypal. That is all I can come up with for right now. If you know of any other good, reputable sites — or if you would simply like to share your experience using any of the sites above — please feel free to comment below. 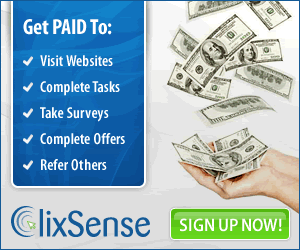 Get daily ideas and instructions for making THOUSAND OF DOLLARS per day FROM HOME for FREE. Did you know that a lot of people are earning $250 to $750 for a minute of their time just just doing voice recording on a computer? There's an incredible new opportunity that is trending online. Major companies are paying average people just for sharing their opinions!